This small wetland island is found in the shallow Caicos Banks south of Middle Caicos. 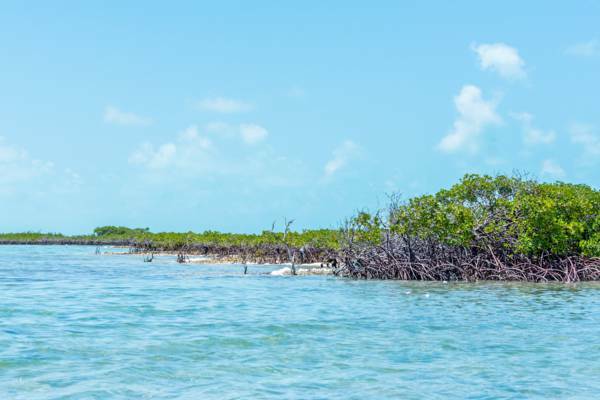 Located not far from the huge Ocean Hole off the south coast of Middle Caicos, Man O’ War Bush is a protected clump of mangrove wetland in the shallow Caicos Banks. This spot is famous for being a nesting site for frigatebirds. Man O’ War Bush is part of the Vine Point and Ocean Hole Nature Reserve. The mangroves of Man O' War Bush. Last reviewed by an editor on 23 July 2016.